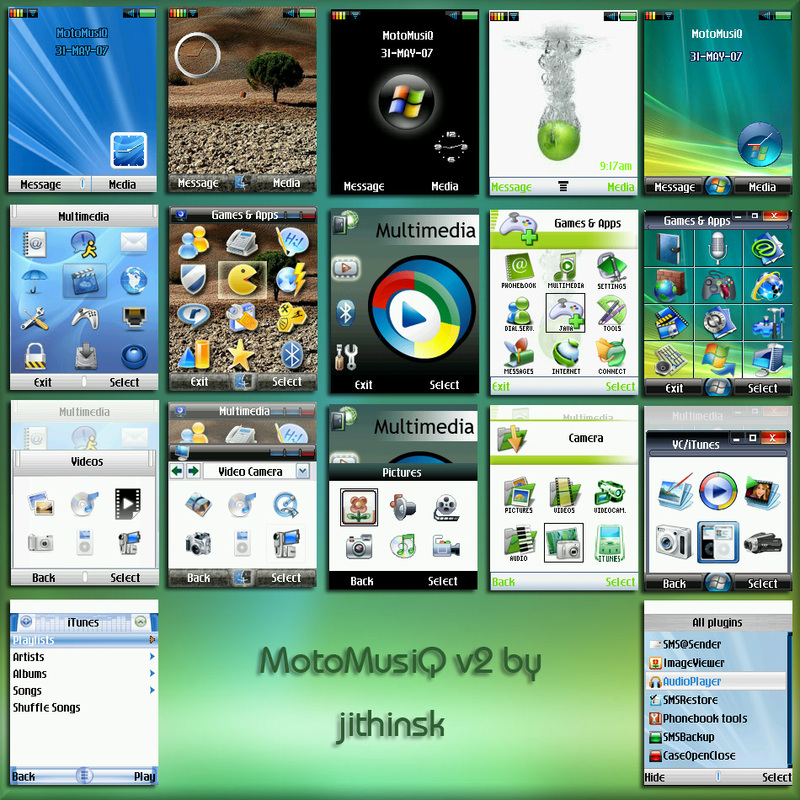 Hi all,this is the second version of my MotoMusiQ MP for e398.. Thank you for all those who tried v1 and gave their opinions.. This time its gonna be based on the Montox reflash of latest elektro mod v0.4a4.. Even though its not a stable firmware yet,I liked its features such as multiple menu structure so that you dont have to use file changer anymore on changing skins. Also for the first time,this MP features different DRM icons (such as iTunes,video cam,USB etc) for different skins.. Thanx to M3 guyz..
Now here is whats inside.. There are some good mp3 sounds and wallpapers within.. The startup and shutdown animations are good ones,but do not work well with this firmware due to its poor animations playing capabilities.. You can try your own..
No need to change mma_ucp on each skin change.. Most probably,this might be my last MP.. Thanx to all..